Releasedate: 23.01.2012. Featuring Remixes by BMON9000, CLERK, E-DNA, INFRA, SPECIES and VISOR & KIT CURSE. 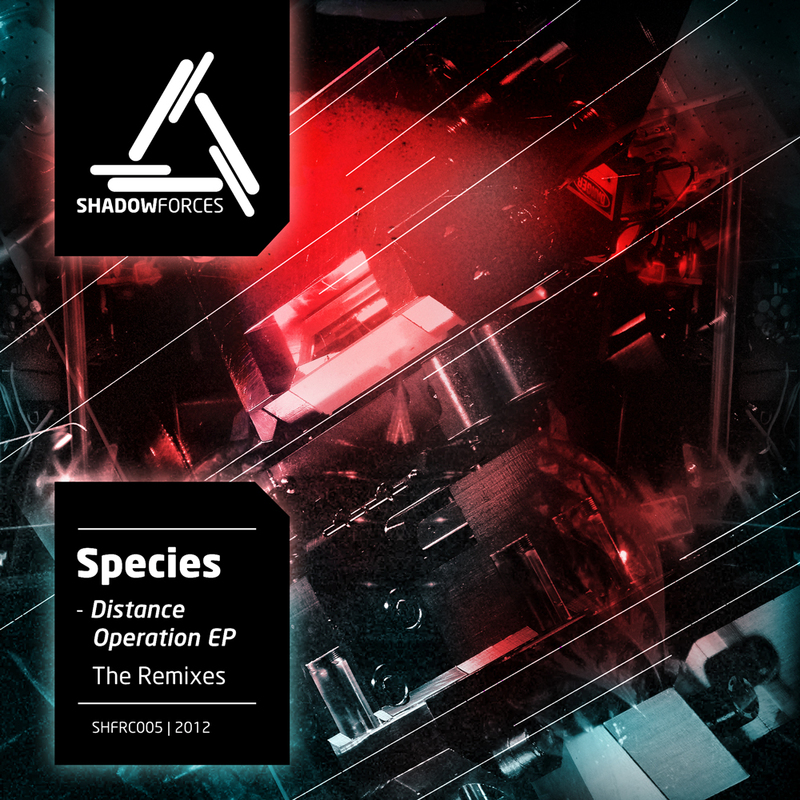 Distance Operation is a concept EP created by the head honcho of Shadowforces –Species – with the idea of creating a release covering the full spectrum of bass oriented tracks derived from one original source . This output brings a perfect symbiosis of Dubstep & DnB to a label pushing new talent out of Germany with the likes of Species, Clerk, Infra, E-DNA, BMON, Visor and Kit Curse all putting their mark on to an EP that pushes Shadowforces to the next level !! !